Fully Certified & Insured Roofing Contractor. Fast & Cost Efficient Installation Process. 10 Year Full-Coverage Warranty Covering Labor & Materials. Manufacturers Warranty For Up To 50 Years. We work fast, cleanly and efficiently to ensure that your business and day-to-day life is uninterrupted. The NRCA uses a series of assessments to certify workers who have met all the requirements of each type of roof system installation allowing them to earn professional credentials. The NRCA also certifies foremen and other roofing company personnel. Protect consumers by providing national, professional certifications for those doing work on their home or building. Educate consumers on the value of hiring an NRCA ProCertified installer, and increase consumer confidence that workers have the knowledge and skills to do the job well. Elevate the roofing industry to be on the same level as the other trade professions that currently offer national certifications. Create a career path for industry field workers. Make the roofing industry more appealing by addressing the workforce shortage. Certifying our company employees not only shows that we appreciate their knowledge and skills and want them to have a successful career with our company, but also by certifying the workforce we demonstrate our commitment to professionalism and quality. We at Infinite Roofing and Construction take pride in our certification, as we work to strengthen our customer and supplier confidence. We push to improve our improve our safety and consistency of installation with each and every install, raising the bar higher and higher. There is always a high demand for roofing contractors that can install roof systems properly and safely. Roofing work allows people to work with their hands to build roofs. NRCA Pro Certification provides us the ability to demonstrate our skills and knowledge and become certified by NRCA in specific roof system installations. Professional certification offers our workers the opportunity to take pride in and be recognized for their skills and expertise. The demand for skilled roofing system installers is very high, and the opportunities available are limitless. Our employees can not only take pride in their skills and professionalism, but also earn certifications and badges that will stay with them throughout their careers. When having a contractor do work on your home, you want the very best that is out there. Is just being just a legitimate company enough though? You may think that any company that provides the services you require would be fine, but some important questions to consider are: are the workers trained and do they have all the knowledge necessary to complete the task to a high standard? What you really need for the best service is a company that is professionally certified. Sometimes these certifications can be provided by a specific manufacturer, like GAF. A company being certified by a manufacturer means that they have been fully trained to install specific product. Being GAF Master Elite Certified means that the roofer was trained to install GAF materials and that they went through a high-level screening and training course to ensure that they were up to GAF standards, which are the highest in the USA. GAF also provide long-lasting warranties on their products. GAF products and labor is protected under a 50-year warranty. Anything from misapplication to tearing caused by any manufacturing defects is covered under their extensive warranty. Warranties are there to provide the customer with the best service and peace of mind when it comes to having their roof installed. Installed on more than 8 million homes, James Hardie® is North America’s #1 brand of siding. Years of producing beautiful and innovative products have earned them the loyalty of homeowners. James Hardie offers products that enhance the reputation and resources that expand our business as an Albany roofing contractor. In a field crowded with competitors, differentiation is key. By aligning Infinite Roofing with North America’s number one fiber cement siding brand, we have access to business planning, sales and marketing tools, and continuing education. Receiving James Hardie Certification is not easy. We at Infinite Roofing proved our track record and earned a good rapport with the James Hardie brand. James Hardie has a comprehensive evaluation process which selects only top-tier contractors to receive its awarded statuses. When selecting a James Hardie certified Albany roofing contractor, you are choosing a team that provides excellent installation of a superior product. Selecting a reputable, professional contractor to install your siding means that one of your greatest investments as a homeowner is protected. The certification gives you peace of mind knowing that your home lies in highly-qualified and trained hands. A CertainTeed Certification ensures that the critical process of installing roofing and siding is done right. From the initial stage of planning through the completion of the siding installation. It is crucial to only allow those who have demonstrable knowledge, expertise, and qualifications to be part of the installation process. We can offer extended manufacturer warranties that extend past the usual manufacturer warranty periods. These extensive warranties may cover costs associated with labor, disposal, replacements and workmanship over an extended period of time. Your mind can rest at ease knowing that the integrity of your roofing and siding is secure, having been installed by professionals working to the highest industry standards. As certified experts, we can offer you excellent advice and recommendations about the installation process, as well as provide answers to any questions you may have. 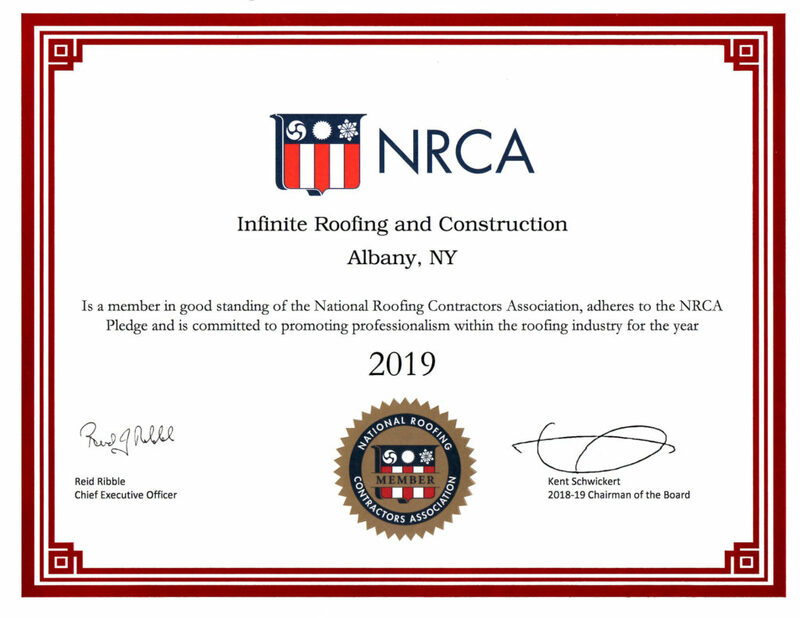 Infinite Roofing and Construction is an Albany roofing company that is IKO Certified. The certification program at IKO is designed to highlight us as one the best in the roofing industry. Everything we need to succeed is in one valuable package; the industry’s leading roofing materials recognized training programs, and customized electronic and print marketing materials. 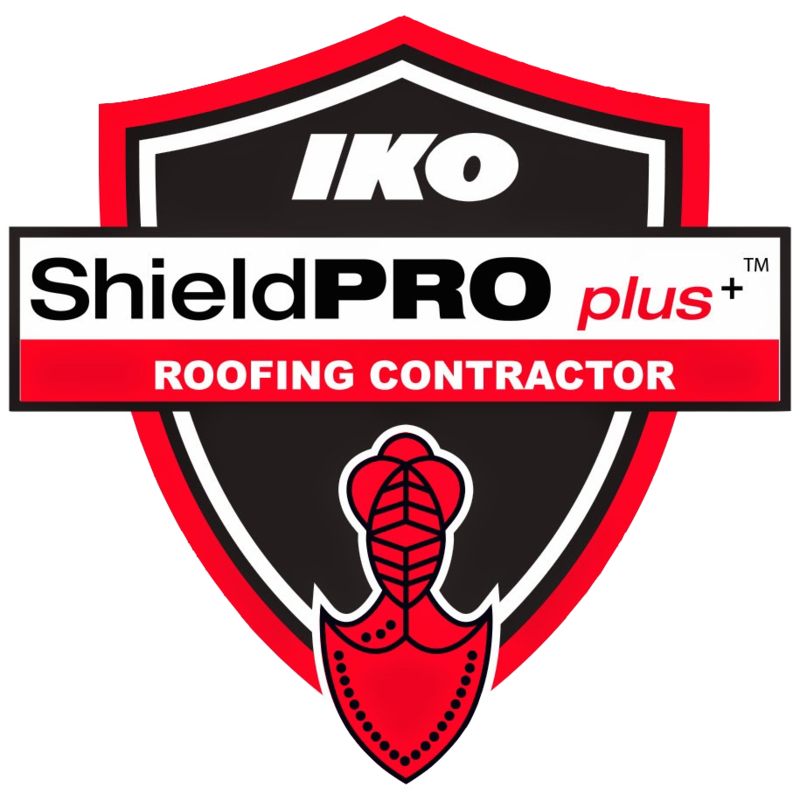 Being IKO Certified means that we will receive a complete and diverse product line of the best roofing products available today. 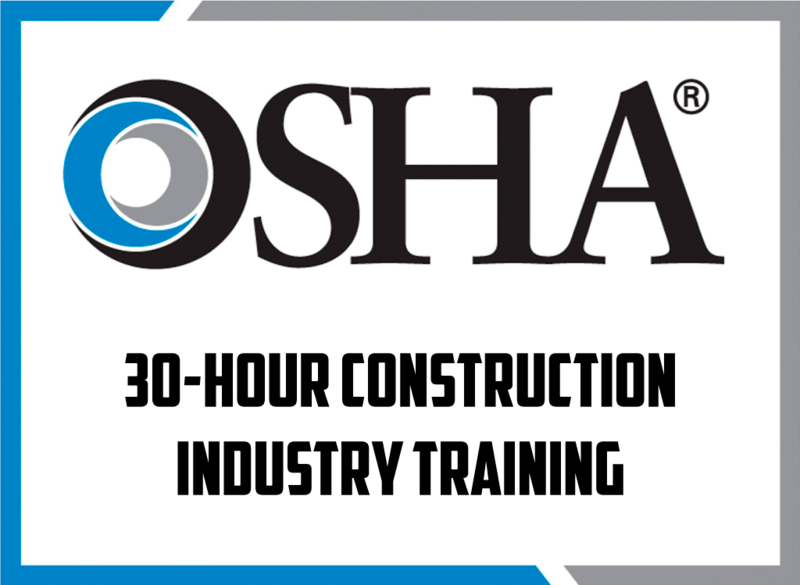 OSHA 30-Hour Training Courses for Construction and General Industry teach health and safety awareness by helping supervisors and workers reduce the risk of workplace hazards. Workers at Infinite Roofing have 30 hours of training in this program. OSHA training also includes prevention of worksite hazards, understanding workers' rights, employer responsibilities and more. OSHA not only protects and keeps our workers safe but also gives the customers peace of mind that the roofing contractors working on their home are all trained to the best. We are regulated by OSHA to make sure our safety practices are top-notch. OSHA compliance includes ladder safety, safety harness, fall prevention, equipment safety, and lift safety. 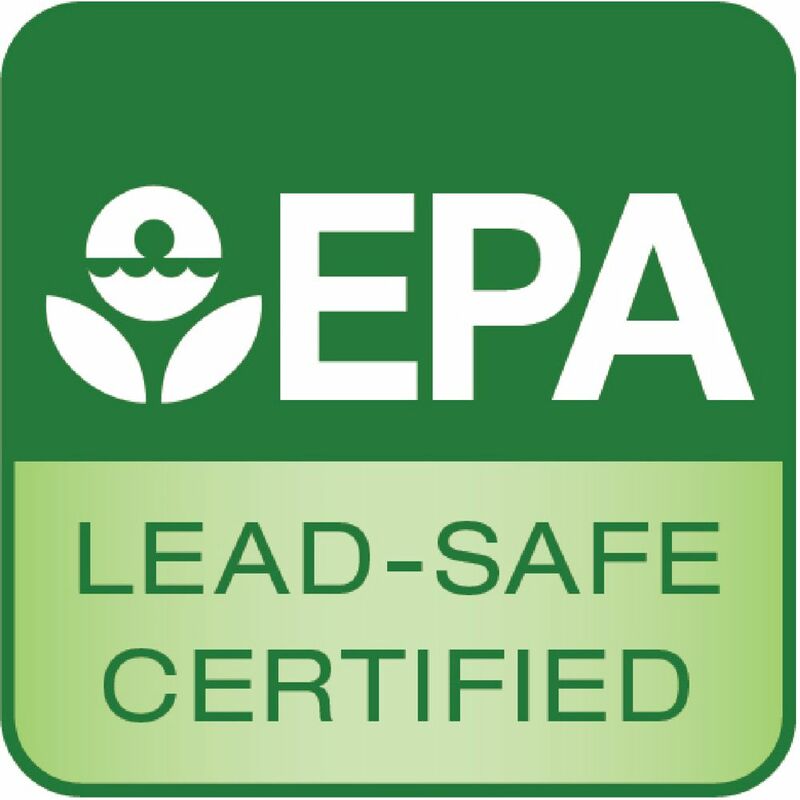 The lead-safe certification establishes requirements for companies and firms performing renovations. In general, anyone who is paid to perform work that disturbs paint in housing and child-occupied facilities built before 1978 must be certified. Lead is extremely dangerous when present in a house, It can cause long-term harm in adults, including increased risk of high blood pressure and kidney damage. Exposure of pregnant women to high levels of lead can cause miscarriage, stillbirth, premature birth, and not to forget the major worry is lead poisoning. Being lead certified also means that our roofing contractors can work on the City of Albany's historic and municipal buildings.